Reduce development cost and schedule by using field tested components to satisfy common application requirements. 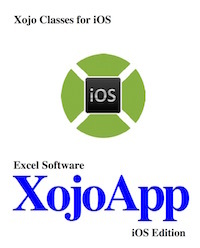 Simplify the migration effort from a Desktop to iOS app by supplementing the Xojo provided framework. 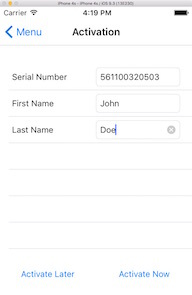 Common objects like Date are mutable on the Desktop, but not in iOS plus properties are different. The iosXojoDate for iOS works just like Date for Desktop apps. The iosHttp class provides simple HttpGet and HttpPost functions and a response function to handle received files, images, MemoryBlocks or text. A flexible MsgBox function make it easy to present messages or multi-button dialogs with a simple function call. Read and write data for any application with XML files that provide backwards compatibility as new parameters are added. Get the power of XML from a simple class that you can understand and implement in minutes. This class is optimized for speed and very large files. Add flexible, scrollable grid controls with static text, edit field, popup menu, combobox, picture, progress bar, slider, checkboxes or radio buttons in cells. Cells properties include text font, size, color, style, background color, enabled state, local/external data, cell height and cell width. Programmatically show, hide or reorder specific rows or columns. Your application can change the number of columns or rows or alter any cell data or properties. It can detect and respond to user actions. Add powerful vector drawing to iOS. The iosObject2D and iosGroup2D classes mimic those in the Desktop environment. The iosXojoDraw class supplements Xojo graphic capabilities. It provides properties and methods that allow you to work at a higher level of abstraction where one method call often replaces many lines of low-level graphic code. Create vector graphic applications faster and migrate them easily between Xojo Desktop and iOS editions. iosXojoLicense is an easy way to license an iOS application with Trial, Product, Subscription or Try/Buy licenses that you control from an online activation server. Cloud License from Excel Software provides an API for licensing mobile or desktop applications that can be implemented from almost any type of software running on any OS. Cloud License is supported by a vendor account on Safe Activation Service 3 or a self-hosted Cloud License Server running on a developer's Linux or Windows website. Add horizontal tool bars or vertical tool palettes to Xojo applications running on any platform. Tool palettes support active and inactive tool icons plus programmable enabled and visible states of each tool. Add, delete, access, move, copy, count, find, alphabetize, iterate thru and manage lists of Text strings. Save development time and boost app performance when manipulating large lists.